My 10th week in Amy Johnson Crow’s “52 Ancestors in 52 Weeks” family history blogging challenge. This week’s ancestor is my Dad. For privacy reasons, I don’t identify my living ancestors and relations by name, which includes my parents. So he will be referred to simply as “Dad” in this post. I also don’t identify birth dates or places of birth for living relations. Yesterday, I had the joy of spending the entire day with Dad, on a trip down memory lane visiting his childhood homes, schools, churches, and some favorite spots where he spent time growing up in Los Angeles County. My parents both grew up less than an hour away from where we lived when I was a child, and where I now live as an adult (in Orange County, California). Yet I had never visited most of these places from Dad’s past. As the family historian, I have focused most of my energy and time on ancestors further back. But over the past couple of years, I have spent more time talking to my parents to capture their memories. Because we never know how long we will have our parents in our lives, and mentally coherent, as they age. 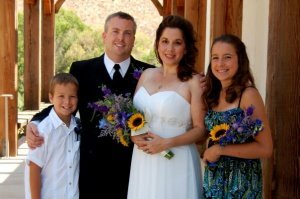 My husband lost his Mom in his 30s, and I know how much he wishes he could have had a day with his Mom like I had with my Dad yesterday. And both of us had grandfather’s who suffered from Alzheimer’s in their latter years. So this is an account of yesterday’s Genealogy Date With Dad. What a blessing this day was for me! And I know for Dad, too. Dad picked me up about 10am yesterday, after spitting into the AncestryDNA Kit I purchased to test his DNA. 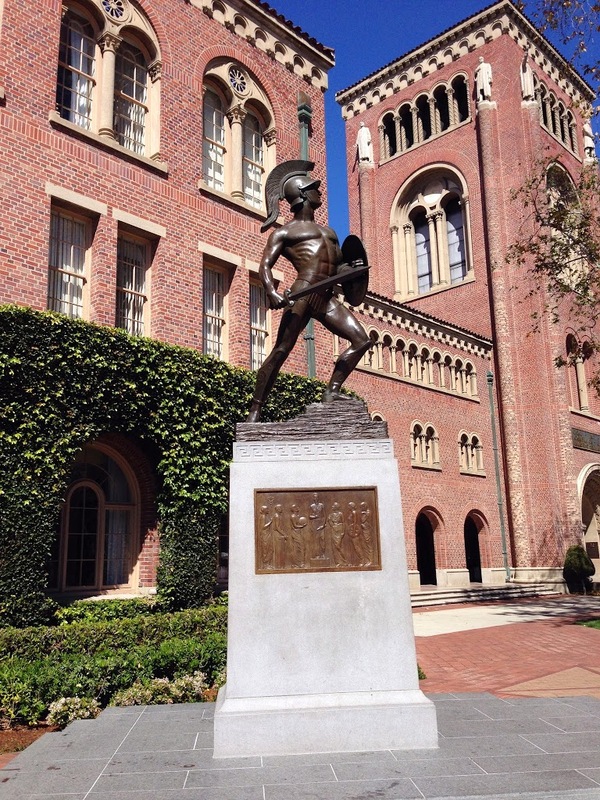 We headed up to Los Angeles, with a first stop at the University of Southern California. The main purpose for the visit was to exchange sizes on some t-shirts that I bought for Dad’s birthday, but it was also to spend some time on campus together. 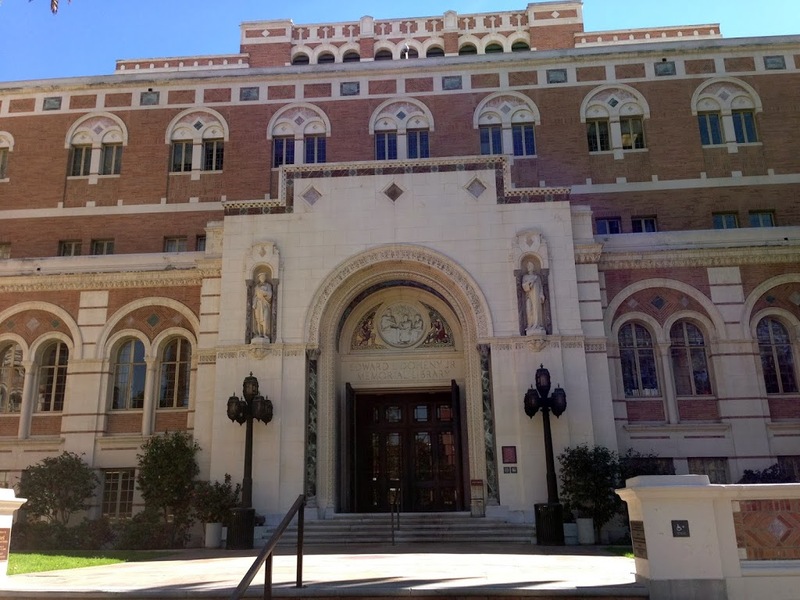 We visited the bookstore of course (to exchange the shirts), and paid a mandatory tribute to Tommy Trojan, then spent a little time wandering through beautiful Doheny Memorial Library (this librarian always has to visit other libraries). USC has been Dad’s dream college and favorite football team since he was 8 years old. 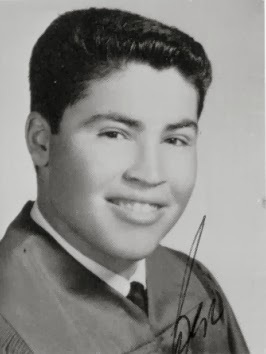 But he was raised by his Mexican immigrant grandmother and first-generation uncle in a very poor family. So poor that Dad has often told me that they couldn’t even afford a football for him when he was a child, so he improvised with an oatmeal carton with which to practice. Dad received a partial scholarship to UCLA, but knew there was no way he could ever afford the rest. So he never applied to USC. Dad recently retired from a career as an engineer. If he had the grades to get into UCLA, I know he had the grades to get into USC. Working in higher education, it breaks my heart that scholarships and other forms of financial aid were not available at that time to assist low income academically qualified students, especially those entering STEM fields. Our second stop is a place that gets Dad more excited than a kid in a candy store — Philippe’s in downtown Los Angeles. 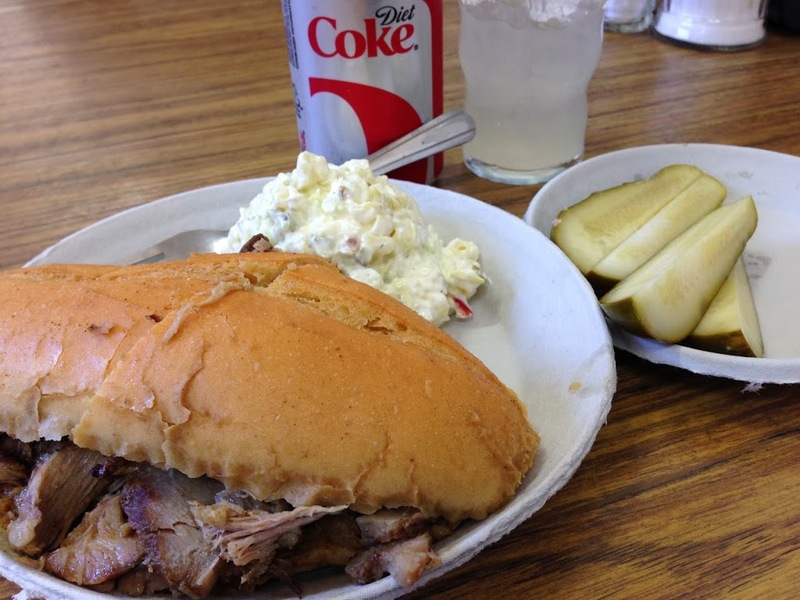 Founded in 1908, Philippe’s claims to be the home of the first French Dipped Sandwich (read my 2011 food blog review). 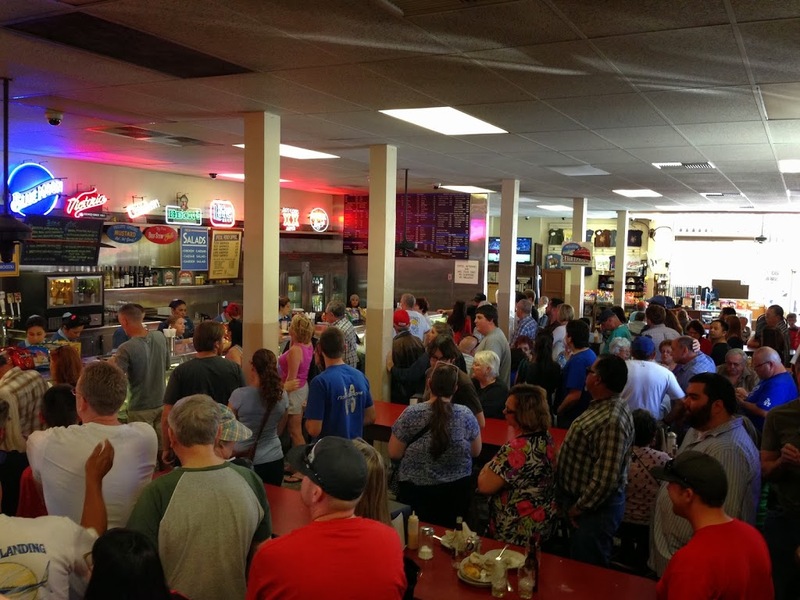 Every time I have been to Philippe’s, it is jam packed with really LONG lines. But the lines are worth the wait. Their sandwiches are so tender and good. Lines are always long, but it’s worth the wait! While we had lunch, Dad shared his favorite memories eating at Philippe’s as a kid. 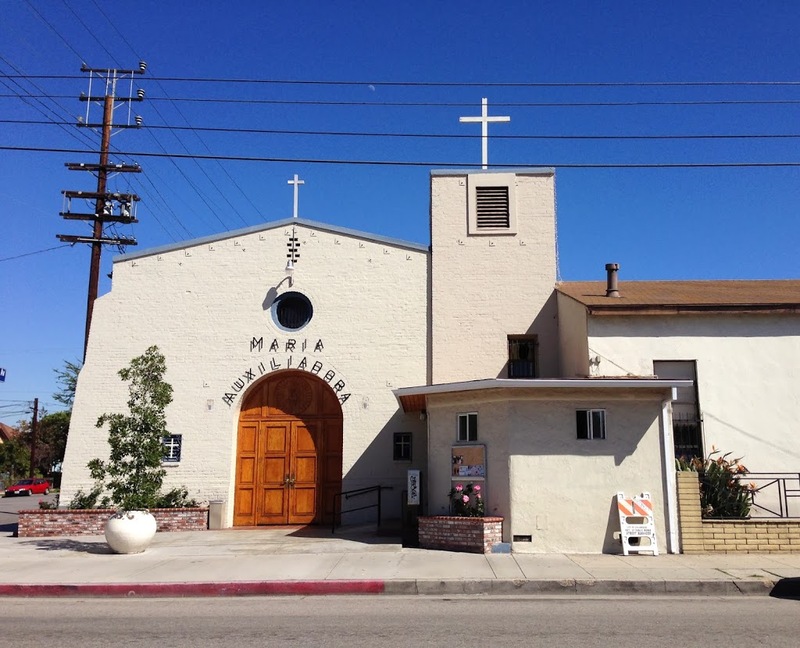 His grandmother and uncle used to bring him, his brother, and the cousins who lived with them to Philippe’s on Sundays after Latin mass at nearby historic La Iglesia de Nuestra Señora la Reina de Los Ángeles (The Church of Our Lady the Queen of the Angels) located at Olvera Street. They always had pork French Dipped Sandwiches (double dipped) with macaroni salad, and his uncle (my godfather) always got a sliced pickle. I asked Dad how his family could afford this regular treat, since they were so poor. He told me that back then, the sandwiches were only $0.50 (now $6.75), the lamb was a bit extra. And it cost $0.05 to add cheese to a sandwich (now $0.40 to $0.80 extra). We also joked that his grandmother and uncle probably felt they needed to reward this carload of little kids for suffering through Latin mass. in honor of my godfather. And their lemonade is so good! After lunch, we headed to the neighborhood he lived in with his grandmother, uncle, brother, and cousins in downtown Los Angeles during Dad’s 2nd through 4th grade years. This area is west of Interstate 5, between North Main and North Broadway. Dad’s family only lived in this home for a couple years because the home was demolished through eminent domain for the I-5 freeway. This is how his family was able to rent it so cheaply, since all parties knew it was only a two year rental. Driving around the neighborhood, Dad kept commenting that the homes look so much smaller now compared to how we remembers them from childhood. The street from which I took this photo used to be part of U.S. Route 99, which served as the major north-south artery between Mexico and Canada before I-5 was built. 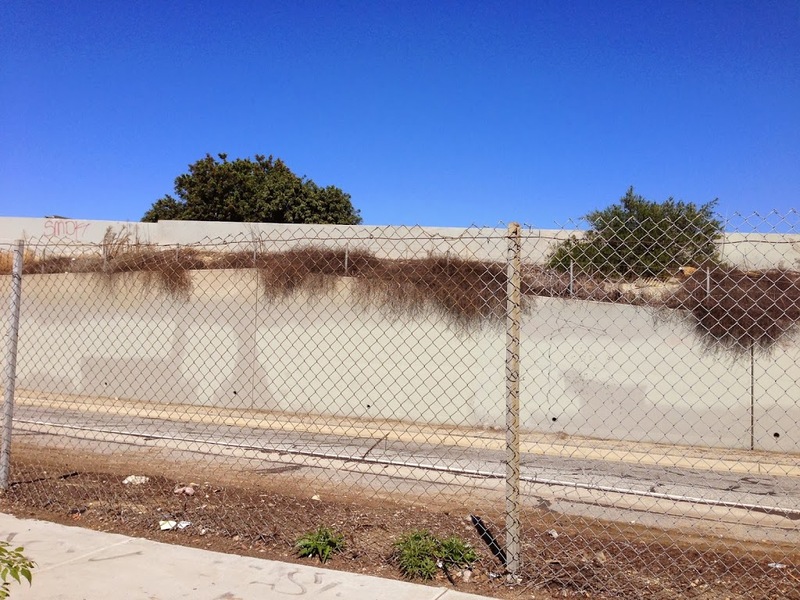 The I-5 is right over this sound wall. Dad said his family’s home was located right on this section of the freeway. Just down the street, the church and grade school Dad attended still stand. Our Lady of Help of Christians church served as his family’s every day church. Interestingly, the church name is now displayed in Spanish, yet was in English when he lived here, and services were held in English. Dad told me that boys from this neighborhood grew up to enter either the priesthood or gangs. Their daily church, Our Lady Help of Christians. 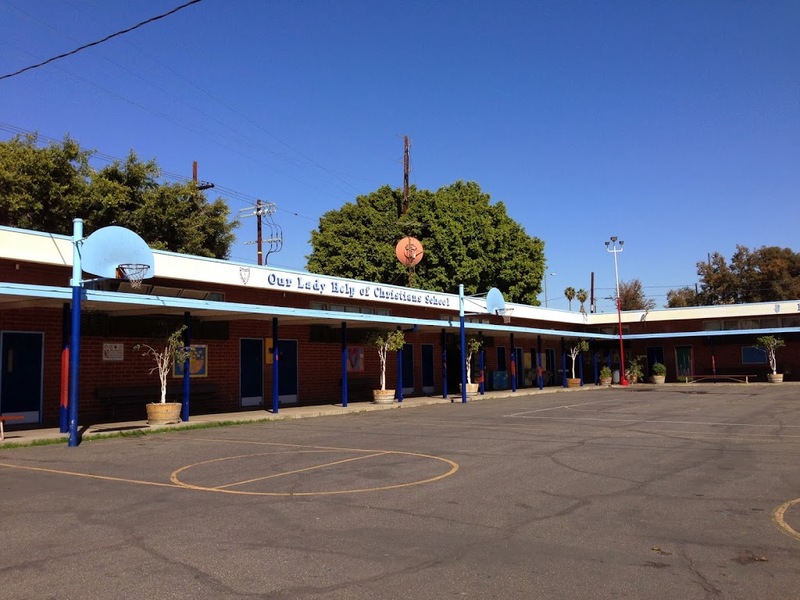 The church runs the grade school Dad attended from 2nd through 4th grade. One of the gates was open, so we wandered around the grounds a bit. An employee professed shock to hear that Dad was a student here 60 years ago, saying he didn’t look that old :-). 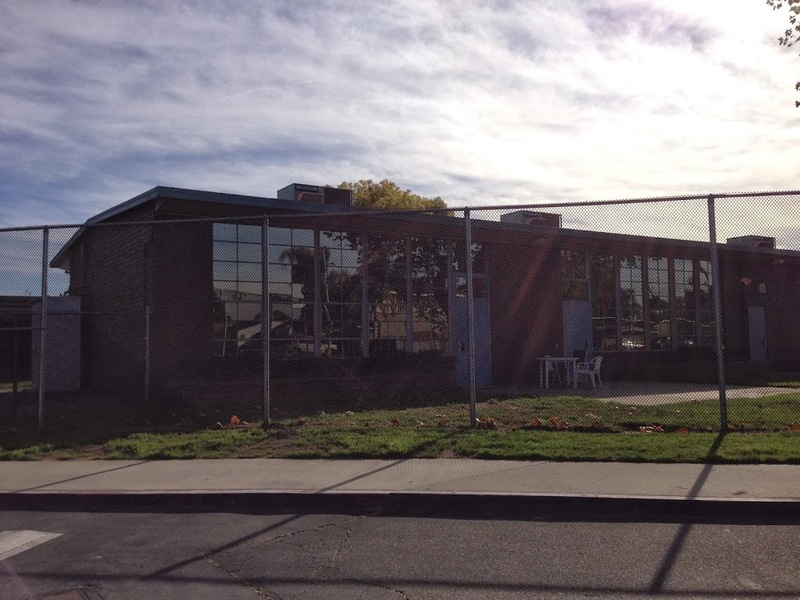 His particular school buildings are no longer there, they were replaced by newer bigger structures, but Dad pointed out the exact spots where each of his classrooms stood. And he told me stories about playing on this blacktop with his friends. Dad used to play on this blacktop with his school friends. From here we headed north on I-5, further back in time, to visit the locations of several homes where he lived in Glendale prior to this Los Angeles neighborhood. I didn’t take any photos in this neighborhood because none of his old homes still stand, and Dad couldn’t remember the name or location of the church his family attended. We drove by and stopped at the locations where two of his homes in this area used to exist. Dad also took me by the spots where two of his sets of aunts and uncles lived, all within three blocks of each other (his side of the family is very close). One of the homes is still standing. Despite none of his homes still existing here, the coolest experience was Dad telling me about where he used to venture and play as a little kid (2nd grade and younger), none of which seem safe for a child of any age! Like he said, it was a different time back then. Dad used to play on the train tracks you can see on this map, particularly at the train yard (which I think must be the current Amtrak station). He also used to wander down to the LA River to play, at a particular stretch my husband and I visited a couple years ago on a guided LA River tour. And near his aunt and uncle’s house, there was a cabinet making shop that used to allow him to wander around when it was open. The shop would keep a pile of discarded wood on hand for Dad to take home, which he would then use to build wooden trucks — telephone company trucks, because a telephone company used to exist near his home, and that is what he saw go by every day. 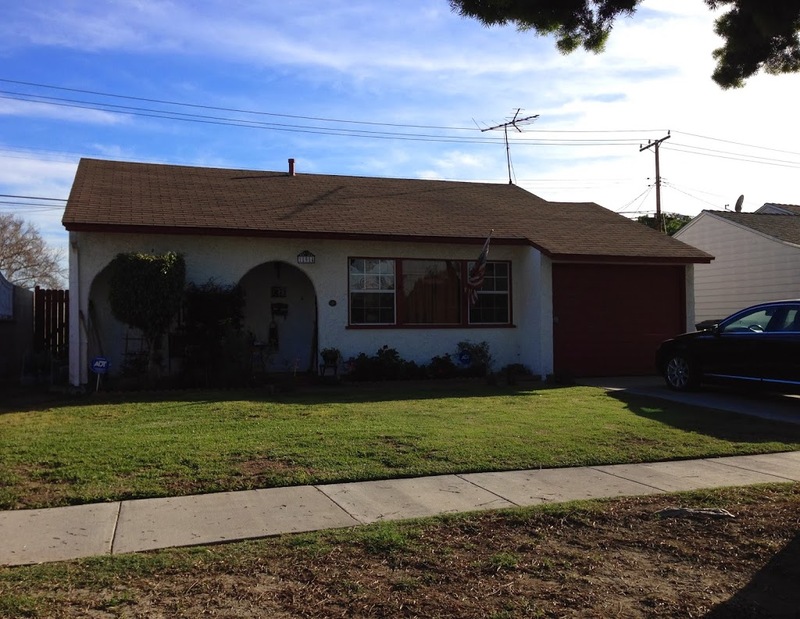 Late in elementary school (after that Los Angeles home was taken by eminent domain), Dad’s family (his grandmother, uncle, brother, and cousins) moved to Norwalk. Here, this branch of the family bought there first home. The American dream! My Mexican immigrant great grandmother “Nana” (who arrived in the U.S. in 1915) finally had her very own home. She became a U.S. citizen right around this time. Nana spent the rest of her life in this home, and Dad spent the rest of his unmarried life in this home. Dad’s uncle (my godfather) — who never married or had children of his own — supported his mother, nieces, and nephews his entire adulthood. 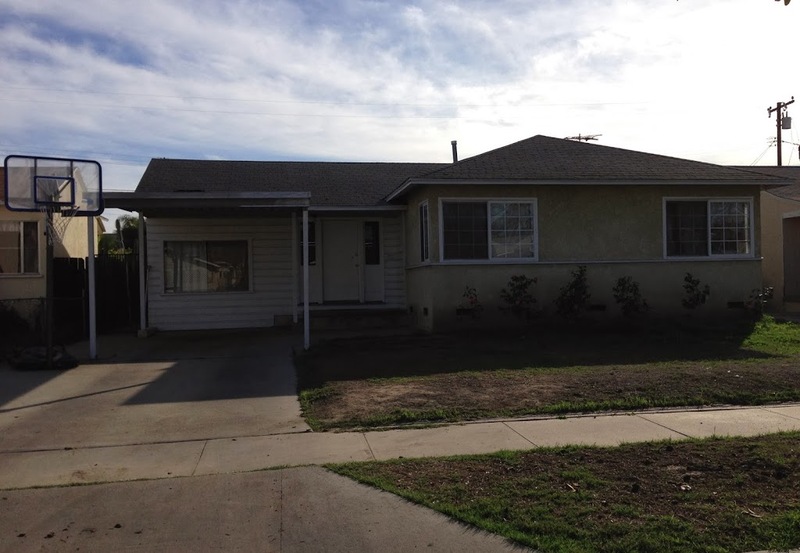 Home in Norwalk. My great grandmother’s first home of her own. Driving down his old street, Dad was shocked to see that some of the same neighbors still lived across the street (he used to babysit their kids). He pointed out the house of a next door neighbor who used to let Dad come over and use his saws, and another house down the street of a neighbor who used to let Dad use other tools. I remember visiting this house as a child, but I never could have identified it on my own. 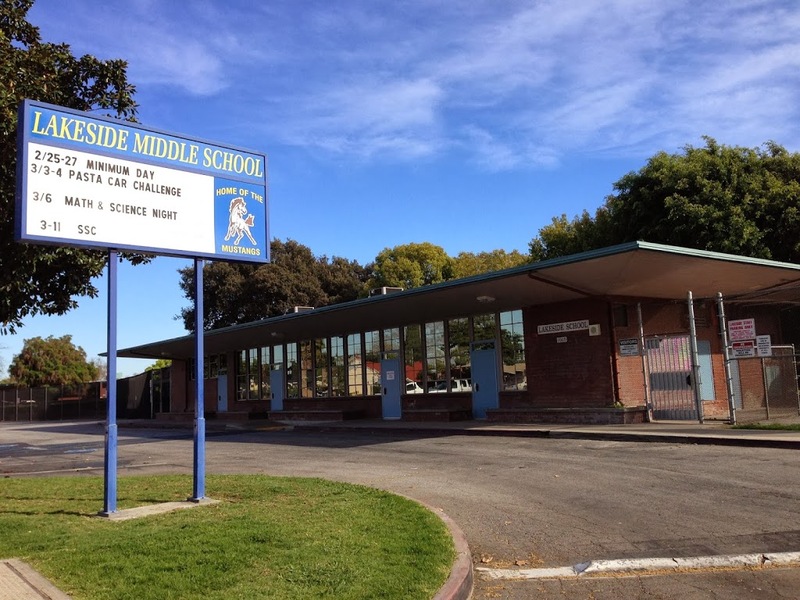 Our first stop in Norwalk (after a Starbucks pit stop for me), before visiting Dad’s family house, was Dad’s middle school, Lakeside Middle School. We just stopped for a few minutes for me to snap a couple photos. Entrance to Dad’s middle school. Dad’s 8th grade classroom was in the left corner. 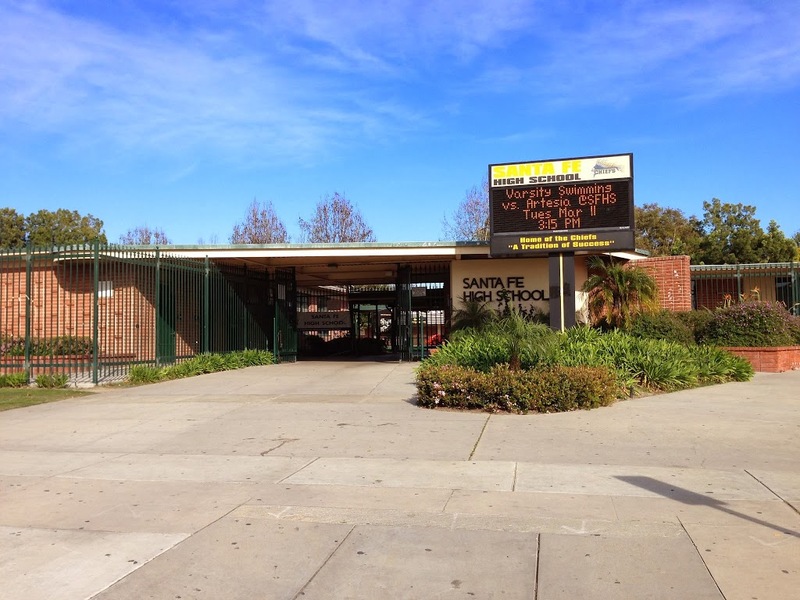 Dad attended Santa Fe High School, in Santa Fe Springs, where he met my Mom during his senior year and her freshman year. When we noticed the main gate open, we got out and wandered in to the quad. I am so glad we did this. Right in the middle of the quad exists a plaque that Dad did not know about — a memorial to the alumni who were killed in the Vietnam War. We spent quite a few minutes here. Dad got very choked up. Many of these young men had been his friends, and he read through the names telling me me a bit about each of these brave heroes. Mom and Dad’s high school. The memorial paying tribute to the alumni killed in Vietnam. 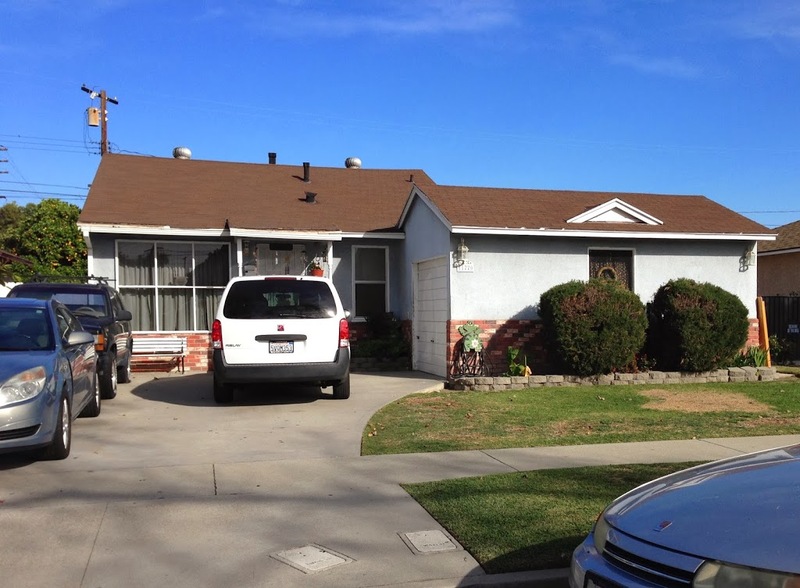 Since it was so close to the high school, Dad drove me by my mother’s childhood home in Santa Fe Springs. He spent four years picking Mom up here for dates and getting her back home by curfew. Their wedding reception was held here, with my Grandpa doing the cooking. I vividly remember this house, because I spent much of my childhood visiting my grandparents here. And I was proud that I could identify the house on my own, without looking up a street address. So many happy memories in this home filled with love! I am blessed with parents who are still madly in love after almost fifty years together. The final leg of our genealogy tour took us to the places where my parents spent the first years of their marriage. Mom and Dad married, almost fifty years ago at Saint Pius X Church in Santa Fe Springs. 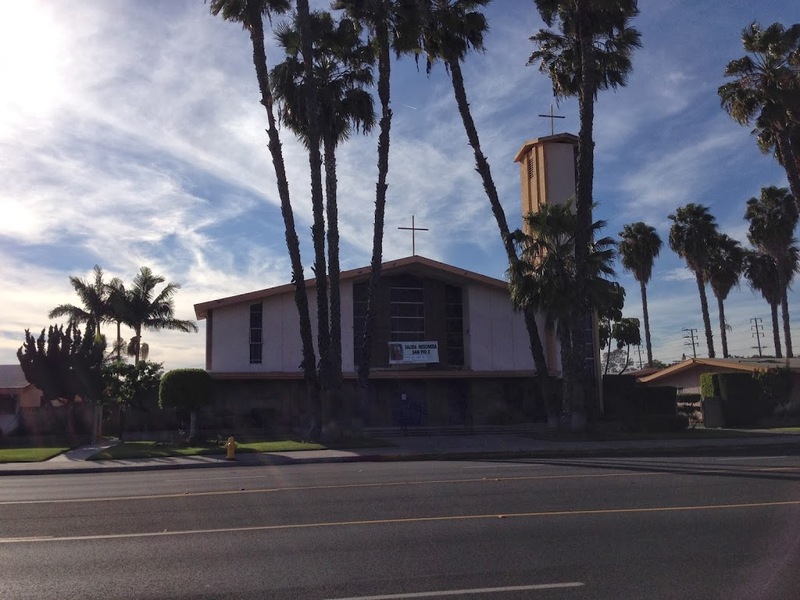 This was Dad’s family church after they moved to Norwalk (Mom’s family was not Catholic, but she went through those required classes), and Dad tells me that the priests used to make house calls to visit and pray with his grandmother. I think my brother and I were both baptized here. Our final stop was my parents’ very first house of their own, and my first home. It was just a tiny two bedroom house, which Mom and Dad bought with their very first joint tax return – $500 covered the down payment and closing costs. Not a bad investment after being married only six months! When I was about three years old, my family moved to Orange County, and Dad said goodbye to life in Los Angeles County (except for work). My parents’ first house, and my first home. Dad built the Spanish arches. Colleen, this is a terrific post!!! I read it because it said “name withheld” on the 52 Week recap and I’m so glad I did. This kind of trip and discussion with parents and other relatives is SO important. When I’m at family gatherings I try to record (or at least write down later) the memories and discussions. They are so valuable. Thank you for this post! Larry: Thank you very much for that kind comment! It really meant a lot to Dad and me to do this together. This post is such an inspiration! Both of my parents have died, but I can see putting something like this together for the grandkids. The photos and the stories together make this a keeper for generations. Scamp: Thank you for those kind words! Do definitely put something like this together for the grandkids.